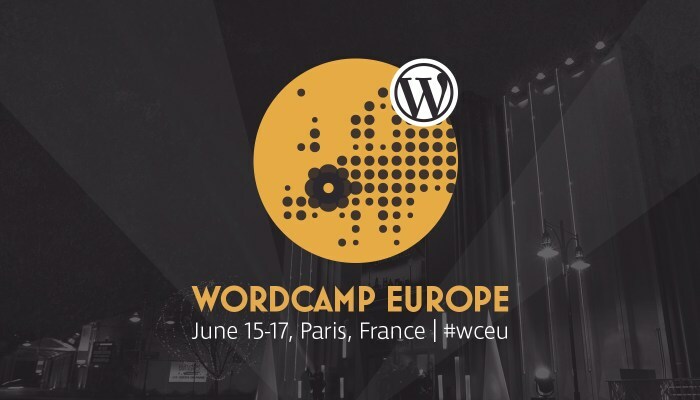 WordCamp Europe 2017 took place over the weekend (June 15-17th) in Paris with a total of 1,900 attendees from 79 countries and 1000 live stream viewers. These have been three intense days of talks, meetups, community, and much more. Although this was our third WordCamp, we were blown away by the scale and impressiveness of the event. 221 volunteers joined the organising team to make sure everything run smoothly during the event. Thank you all for your energy and effort! Here’s an overview of our most memorable moments of this amazing weekend. As usual, this WordCamp Europe has been a fantastic opportunity to meet fellow WordPress enthusiasts from all over the world. Just to name a few, it was very nice to chat and exchange ideas with Will Kwon, Marianna Siouti, the folks from RAIDBOXES, Page Carbajal, Thierry Gustin and Rémy Berda from Weglot, among many others. We were also happy to see again Luis Rull, Rocío Valdivia, and Isabelle García from the community, and the folks from PixelRockStar, who rocked this year again with the giant (and heavy) French Wapuu. 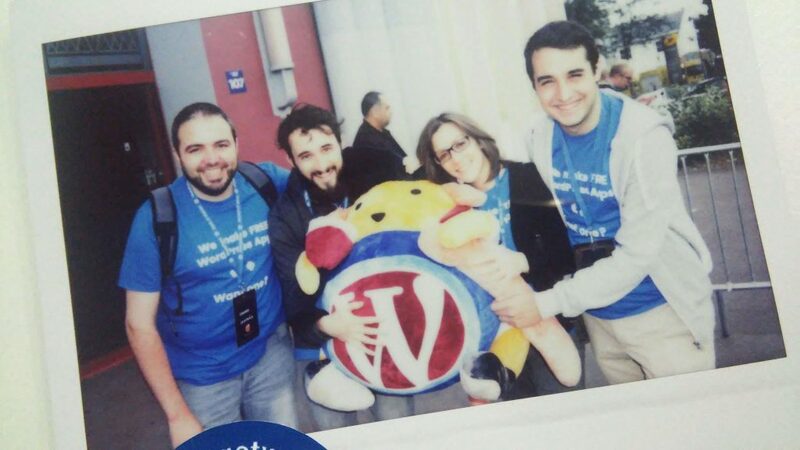 Frontity team with the French Wapuu. We would have loved to have a quick coffee with more people that wrote us before the event, but it was quite difficult to find someone among so many attendees. We would like to thank everyone who came over to congratulate us for the WCEU Paris Guide App. We received such wonderful feedback and couldn’t be happier to see that a lot of attendees found the app handy during the event. Daily Unique Pageviews of the WCEU Paris Guide App. Our first Contributor Day was quite productive. I attended the Polyglots for Beginners workshop led by Caspar Hübinger and translated my first strings. I also met Alice Orru, Laura Sacco, and Ruth Kalinka, from the polyglot team, who kindly solved my doubts and were very helpful. Meanwhile, the rest of the team (Pablo, Edu and Luis) contributed to the REST API team. They started working on a plugin which retrieves a valid WP-API result from a permalink URL. You can take a look at their work here. Unfortunately, we did not get the chance to watch all the talks, but some of our favourite ones were The Three Kinds of Design by John Maeda, Lessons Learnt Marketing WooCommerce Since July 2014 by Marina Pape, How to Repurpose Your Content to Boost Your Traffic (lightning talk) by Syed Balkhi, and How WordPress Communities Are Built by Andrea Middleton. During the second conference day we had the opportunity to see an exclusive interview with the WordPress co-founder Matt Mullenweg by Om Malik, founder of Gigaom, and a Q&A session with the audience. During the interview, Mullenweg showed a demo of the new Gutenberg editor – now available in the WordPress plugin directory. You can watch the interview below or on WordPress.tv. After a lot of expectation, organizers announced that WordCamp Europe 2018 will be held in Belgrade, Serbia. This was a really exciting moment for everyone. Congrats to the Serbian community! Well, what can we say about the afterparty? The venue (Pavillon d’Armenonville) was beautiful and we had a great time, but this tweet best sums up the essence of the party! WordCamp Europe 2017 was a wonderful weekend to remember. A big thank you to all the speakers, volunteers, organizers, and attendees of WordCamp Europe for making this an amazing event. If you miss a talk at #WCEU the session recordings are available here or on WordPress.tv.